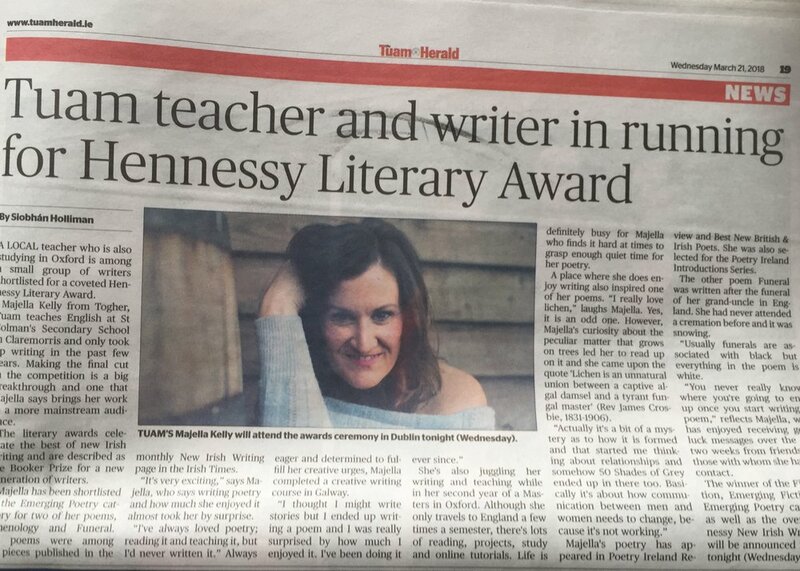 You can be nominated for all the prizes in the world but having an article in the Tuam Herald still makes the mammies fierce proud here at home. Thanks a million to Siobhan Holliman for the write-up (and to Ethan for the photo!). It was great to be flying the flag for Tuam above in Dublin. But the coolest thing about being in this week's Herald is that I'm in it with my amazing friend, Lola Donoghue. We used to teach in the same school and we had a photography business together at the same time—weekend and holiday warrior photographers! Some of you may remember the FOTISSIMA years. Good times. But since she took a career break to go painting full-time, her success has been stratospheric. So proud of her.